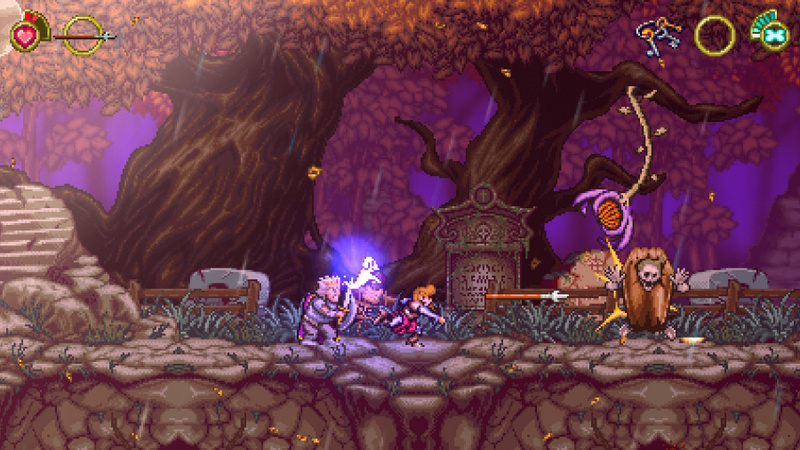 There are two noteworthy modes in Battle Princess Madelyn, one is the Story mode which is a Metroidvania style mode that is absolutely amazing, but has some flaws such as a fair bit of backtracking and not having a map which really makes it hard to navigate the world. But overall is a solid mode. 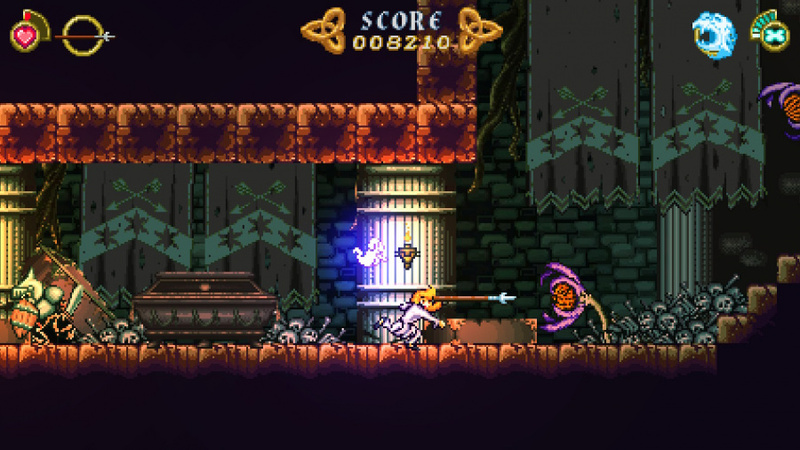 The second is arcade mode and it plays like an updated version of Ghosts 'n Goblins complete with power-up's, the ability to double-jump, and challenging gameplay, luckily it is a fair bit easier than the original Ghosts 'n Goblins while it is quite challenging with enough effort and time most players should eventually beat the game! Oh and the controls are easy to learn as well which certainly is a good thing! 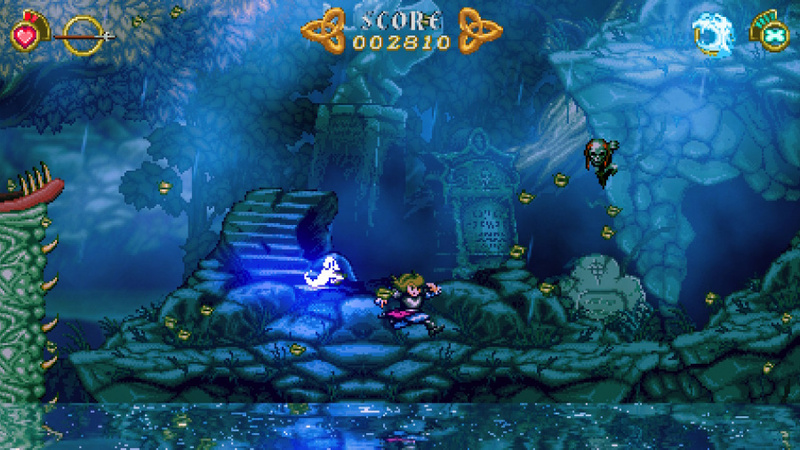 The 32-bit visuals in Battle Princess Madelyn are amazing, while it does harken back to the classics, its level of detail, and fluid animation really give the game a level of polish rarely seen in an indie title, while the soundtrack is superb and fits the game like a glove! Overall the audio-visual presentation is flawless in our opinions! 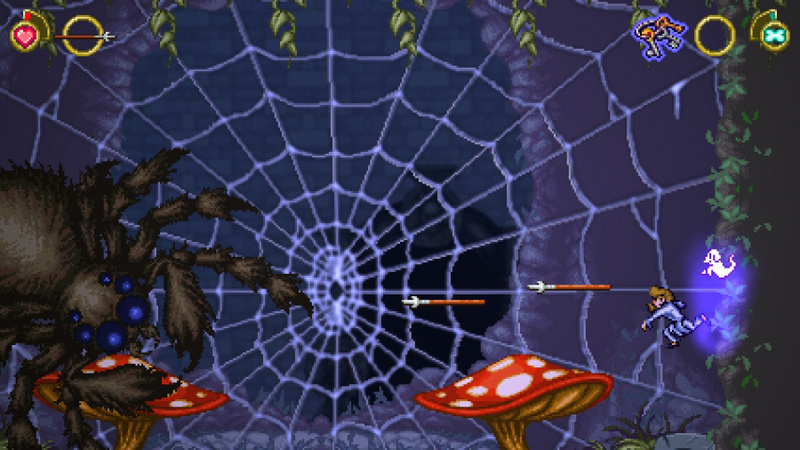 Bottom-Line: With excellent gameplay, multiple enjoyable gameplay modes, easy to learn controls, and a simply breathtaking audio-visual presentation, Battle Princess Madelyn is a platforming game that no PS4 owner should miss out on, while there are a few minor gripes, the game earns a great level of recommendation from us! Our review is now live! If you have any questions or comments please be sure to leave them below! The lack of a map worries me, but otherwise this sounds like a must-buy game! Great review! I will be snatching this sometime next week. Thanks for the feedback you guys! You convinced me. I'm buying it tomorrow. Great review! @Amufungal wrote: @TechnicalIssues8 Welcome to WiiWareWave. @TechnicalIssues8 You won't regret the purchase. @TechnicalIssues8 Have you bought the game yet? I'd like to hear a second opinion before plunking down a buncha money. That said this does sound really good! Good review @Reanfan. This looks amazing! Thanks for the comments as always.